I graduated from the University of California, San Diego in June 2018 with a degree in Pure Mathematics and a minor in Computer Science. 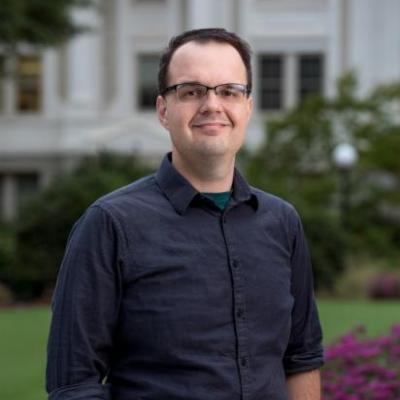 I currently work as a Data Scientist, primarily doing forecasting and mathematical modeling, and plan to begin pursuing a Ph.D in Mathematics in Fall 2019. I am broadly interested in algebraic aspects of geometry and topology – I participated in undergraduate research in Topology with the inimitable Justin Roberts, which included a study of spectral sequences, homotopy theory, fiber bundles, classifying spaces, characteristic classes, and basic intersection theory. You can find details concerning my experience and educational background under Activities. Under Resources, I’ve assembled some math-related advice, recommendations, and answers to questions that I often hear students ask. I also host several small blog posts and notes here – these posts are my efforts to convert sketches, notes, and outlines into something readable. I welcome any feedback or suggestions anyone might have; feel free to contact me via any of the contact methods listed on the left side of the page or under the “Follow” tab on mobile. Some slides (HTML, PDF) and notes regarding the Mathematic Subject GRE from a 2/2019 workshop I presented. I host a fork of the Arxiv Sanity Preserver , which regularly indexes papers from a number of Mathematics categories on Arxiv.com. A gallery of math-related images and diagrams I’ve created for various talks and papers, as well as various other photos. A square topology toy in HTML/Canvas, designed to visualize walking around and drawing graphs in spaces with topologies arising from identifying the edges of a square. If you are interested in meeting or setting up a session, please fill out the interest form here.